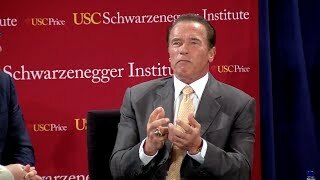 "I'd like to personally welcome you to the USC Schwarzenegger Institute website where our mission is advancing policy not politics as we seek real world solutions to the challenges facing society." Adam Rose, Ph.D. and Dan Wei, Ph.D assess the impacts of the Property Assessed Clean Energy (PACE) Program on the economies of California and Florida. Property Assessed Clean Energy is a way to finance a wide range of energy and water efficiency, renewable energy, and hazard mitigation improvements permanently attached to residential and commercial properties. Charles T. Munger, Jr assesses the changes wrought by the advent in 2012 of the top-two primary in three papers. 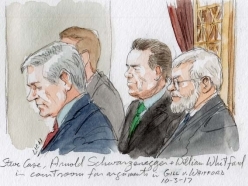 The author is the president of Californians to Defend the Open Primary, which has intervened to defend every legal challenge against the top-two primary since its inception, and who also played a significant role in its passage. 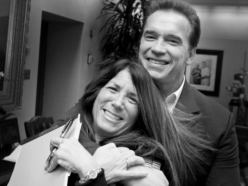 It is with deep sadness that we announce the death of Bonnie Reiss, the much-admired Director of the Schwarzenegger Institute and lifelong advocate for good. Bonnie passed away on Monday, April 2, 2018 in Malibu, California, surrounded by her family after a brave fight with cancer. 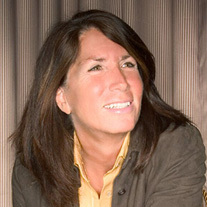 On behalf of everyone at the University of Southern California, we are honored to have worked with Bonnie, and are so grateful for her friendship and mentorship. 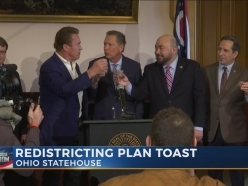 Schwarzenegger and Ohio Governor John Kasich joined legislative leaders to celebrate the passage of a bipartisan proposal to change how Ohio draws congressional district lines. Thanks to the legislative compromise Ohioans get to vote on Issue 1 on the May 8thBallot. If passed Issue 1 would require more minority party participation in Ohio’s redistricting process and would set new criteria to limit how counties and municipalities can be split among districts. 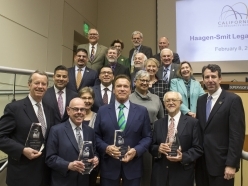 Former Governor Arnold Schwarzenegger was recently presented with the Haagen-Smit Legacy Award for his contributions on improving air quality at a special 50th anniversary meeting of the California Air Resources Board (CARB) in Sacramento. 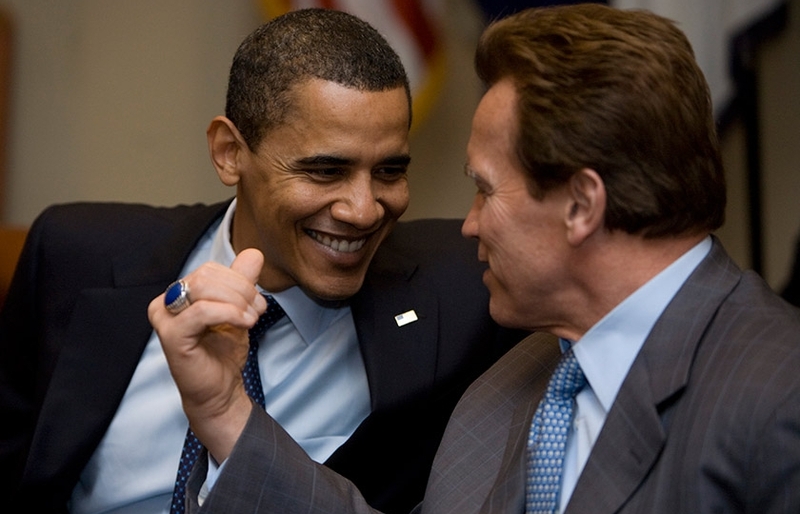 Schwarzenegger received the award for his work fighting pollution in both California and throughout the world. 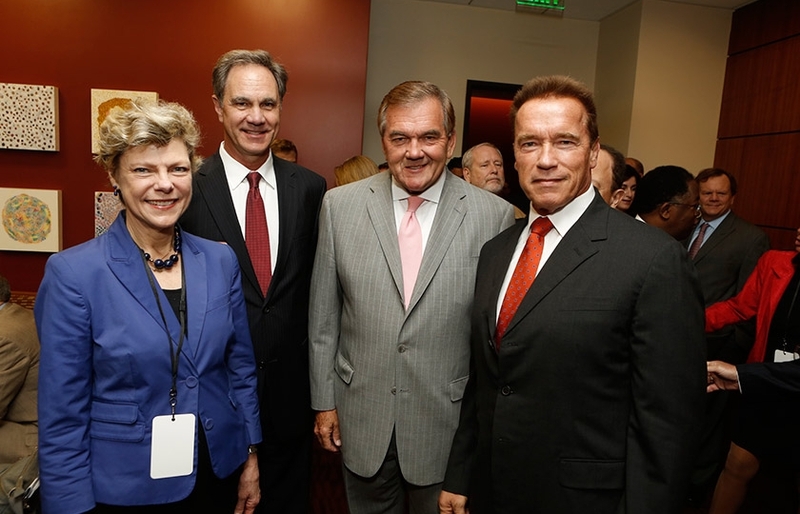 Mary Nichols, Chair of the California Air Resources Board, presented the Haagen-Smit Award to Schwarzenegger and said the former Governor’s “career has truly been multifaceted and defies categorization as well as expectations." 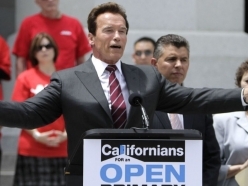 The Schwarzenegger Institute started the year with the expansion of the Digital Environmental Legislative Handbook by adding two additional bill files to its comprehensive list of environmental laws. 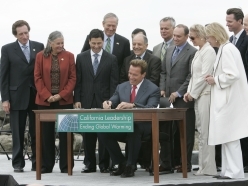 The USC Schwarzenegger Institute partnered with the National Caucus of Environmental Legislators (NCEL) to create the Digital Environmental Legislative Handbook, an online resource that local, regional and national governments can use to find smart, easily replicable, legislation that both protect the environment and help strengthen the economy. 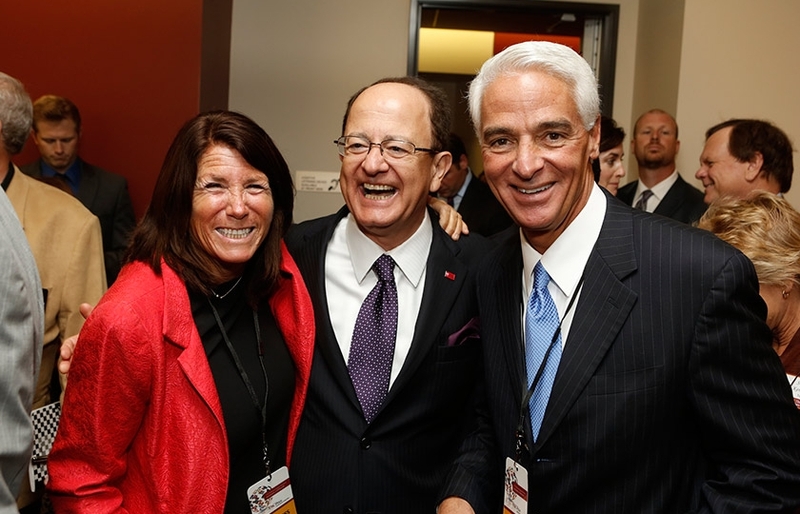 The Handbook was created to help to assist legislators who are interested in advancing smart environmental policies by sharing best practices and actual legislation that is working successfully in a number of states already. 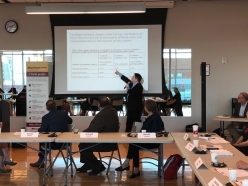 On December 15th a Schwarzenegger Institute delegation, led by USC Professor and Institute Faculty Fellow Christian Grose and Institute staff members Conyers Davis & Mebus Behrle, traveled to Arizona State University to participate in the Open Primaries National Forum and Research Roundtable. The objective of the event, which was co-hosted by the ASU Morrison Institute for Public Policy, Independent Voting and the USC Schwarzenegger Institute and funded by the Open Primaries Education Fund, was to review current research, scholarship and on-the-ground experience of open primaries and their impact on voters and governance through an interdisciplinary day of analysis and discussion. 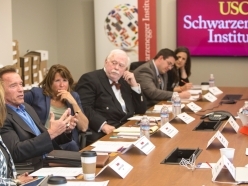 Academics from some of the nation’s leading public policy programs and number of well-known political consultants participated in the roundtable and worked together to identify gaps in knowledge and prioritize a set of research questions for future study. 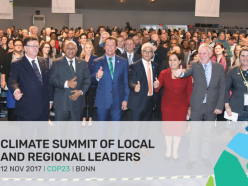 With increasing recognition of the health impacts of climate change the World Health Organization was invited to COP 23, and reached out to the Institute and Governor Schwarzenegger who have long advocated that connecting to human health to environmental protection is the most impactful way to motivate people to act. 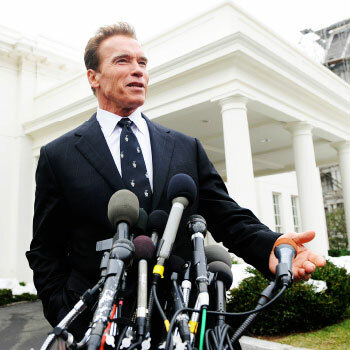 The Schwarzenegger Institute took part in the State of American Democracy Conference at Oberlin College in November. 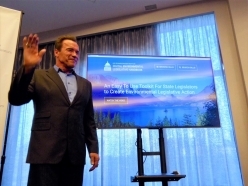 The conference was the first in a series of conversational events that the Schwarzenegger Institute is co-organizing with Oberlin College and the Alliance for a Sustainable Colorado. 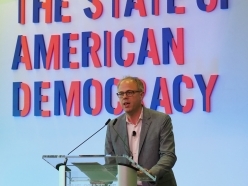 Each event has been designed to examine the present health of American democracy and its long-term resiliency and durability from a non-partisan perspective. The conversations which started in Ohio and will take place in Colorado, California and Georgia, will each focus on the procedures and practices necessary to uphold a government that is truly of the people, by the people, and for the people. The events are attended by a cross section of leaders from the local area and nationally, including media, academia, business, NGO’s, Government and students. 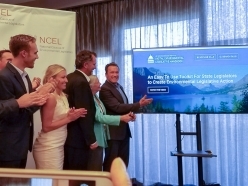 The USC Schwarzenegger Institute in partnership with the National Caucus of Environmental Legislators (NCEL) launched the Digital Environmental Legislative Handbook, a first of its kind environmental policy resource, for state legislative leaders. 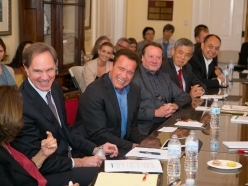 Governor Schwarzenegger and the Schwarzenegger Institute, recognizing the power of environmental laws passed at the state, city and local levels, spent over a year developing this project which will help legislators from across America share best practices and legislation with proven track records of success. 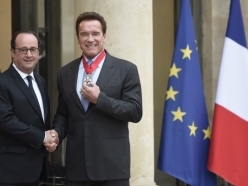 French President Francois Hollande presented Governor Schwarzenegger the highest honor in France for his work on environment, making him a Commandeur of the Legion of Honor. The Legion d’Honneur, founded in 1802 as an order of merit, is awarded to military and civilian personnel for distinguished service to France. 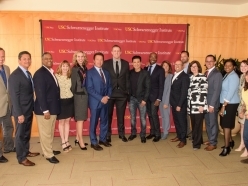 Understanding the power of media to communicate important public policy issues, the Price School of Public Policy and the Annenberg School for Communication and Journalism partnered with one another to screen the five-episode EPIX docuseries America Divided. 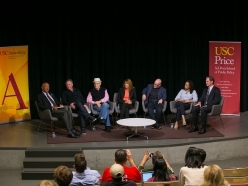 Following the screening the two schools hosted a discussion where students and faculty where able to ask the show’s producers Norman Lear, Solly Granatstein, Leah Natasha Thomas and EPIX CEO & Annenberg Board of Trustees Chair Mark Greenberg questions about the project. 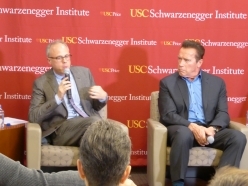 Prominent leaders from K-12 and higher education, government, media, military, sports, business and innovation gathered at the 2017 National After-School Summit, hosted by the USC Schwarzenegger Institute at the Price School of Public Policy, to put the spotlight on a simple truth — that after-school programs work. 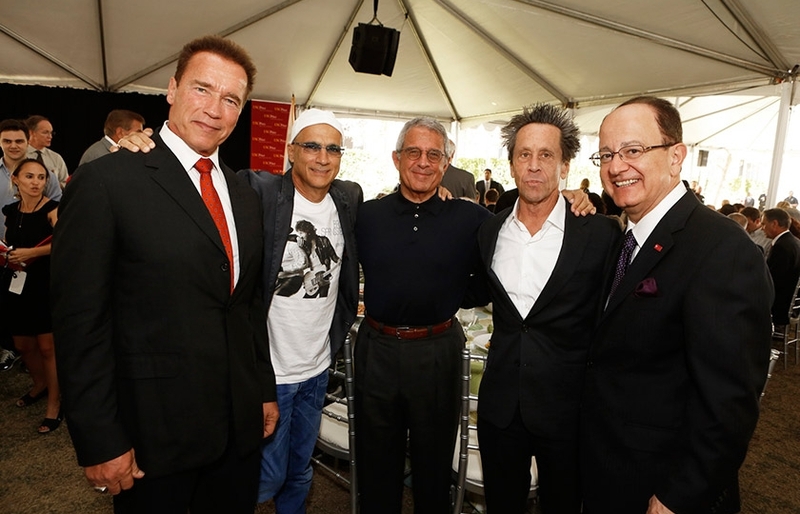 The event was held at USC’s Town and Gown ballroom on April 5, in partnership with Afterschool Alliance and After-School All-Stars Schwarzenegger explained that law enforcement considers the hours from 3 to 6 p.m. a danger zone for kids. That’s when they get involved in activities that could be detrimental to their future, such as drugs, alcohol, gangs and violence. This, he said citing past research, is why every dollar spent on after-school programs saves $3-to-$6 in public services down the road. 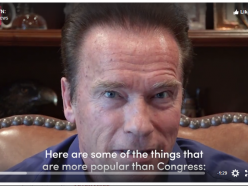 Governor Schwarzenegger is fed up with redistricting and is devoted to working to fix the problem. 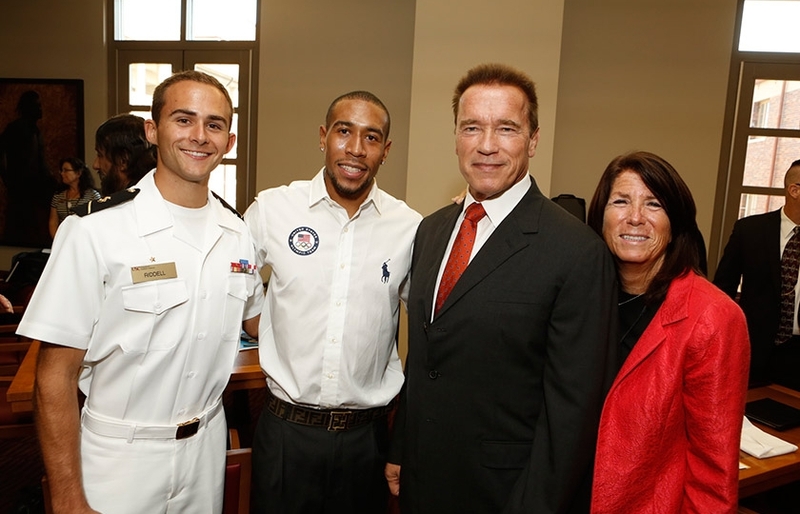 The USC Schwarzenegger Institute for State and Global Policy has set up page so that you can stay active in this fight. 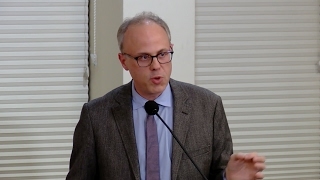 The Institute believes that both research and real world perspective are relevant when studying public policy issues and hosted a forum at USC on December 2nd that examined both the data and politics behind the recent U.S Senate race. 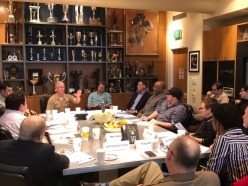 The program began with a series of presentations from leading political scientists and concluded with a spirited discussion between Sean Clegg and Bill Carrick, the lead political strategists for the Kamala Harris and Loretta Sanchez campaigns. 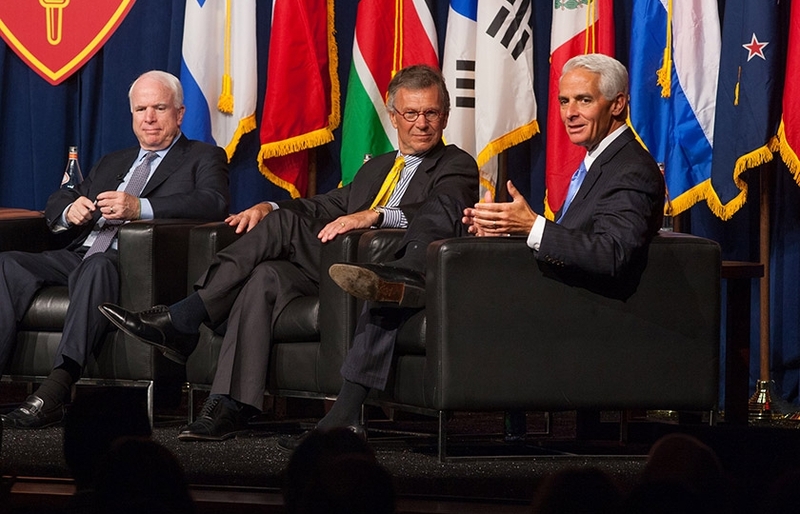 Their insightful conversation was moderated by David Siders, Senior Reporter at POLITICO. 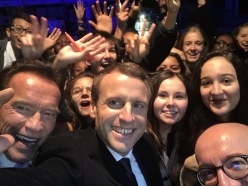 Years of Living Dangerously, the Emmy-winning climate change series, returns for a second season This October. 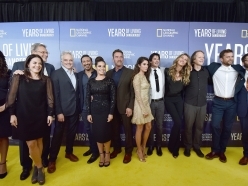 To mark the occasion Governor Schwarzenegger and National Geographic hosted a star studded premiere at the Museum of Natural History in New York on September 21st. 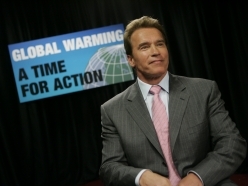 Schwarzenegger spoke at the event about how shows like “Years of Living Dangerously” frame the issue of climate change in ways that resonates with average people and helps them better understand the day-to-day impacts of climate change. "One person to make a difference"